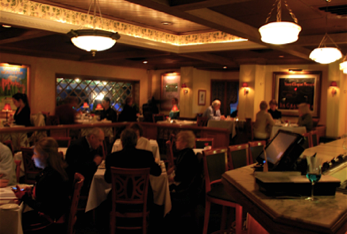 The Metro Wine Bar & Bistro has been at the cutting edge of food and wine in Oklahoma City for over twenty-eight years. While always evolving and changing, the one constant at The Metro is the world-class food, service and a focus on fine wines paired with our wonderful cuisine. Drop by for a glass of wine and an appetizer at the bar... or come to spend an evening of great dining. We can be as casual or as formal as the occasion demands. We are open seven nights a week for dinner... and every weekday for lunch. We are open all afternoon on the weekdays for a late lunch, early dinner or just wine & cocktails. Keep posted on what’s happening at The Metro... join our email list by sending us an email at: metrowinebar@coxinet. and put “add to email list” in the subject line.